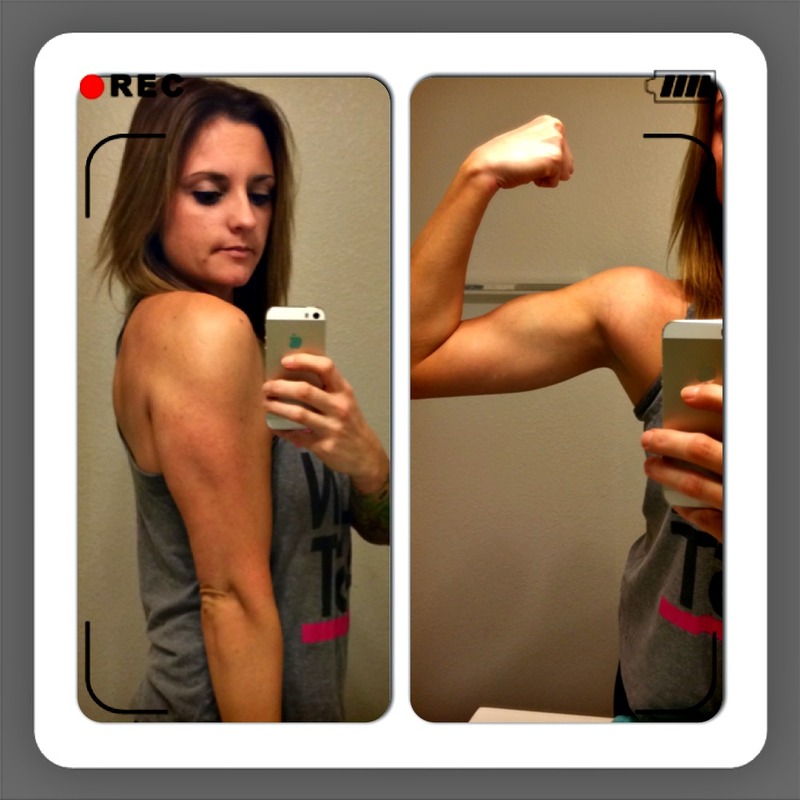 I have to admit…flexing selfies…make you feel funny when you share with the world!…..No? Not you?…okay just ME then! I have no clue what is going on with the flash and my hand up there by the way! These past two months I sort of ran into a little funk and stopped my cardio! GASP! I even got lazy and stopped paying close attention to the foods I was eating. I know, this is BAD, and I do not encourage it at all! But the truth is, I am a Mom, I have 4 children, and I work, even if it is only part time! AND ITS COLD OUTSIDE!!!!!! AND I LOVE Chocolate, PIZZA, and COOKIES!! But it’s time to get off the Excuses train and back onto Self Control Express! I took this picture because it is going to be considered my “before” picture. Even though I could care less about the scale..I am currently weighing in at 137lbs, I am 5 foot 6inches. I have 14 weeks until my big 3 0 Birthday gets here! My goal is to turn 30 looking and feeling better then I did in my 20s. I have created a little 14 weeks accountability chart to fill out at home. It is nothing fancy. I made it on a word processor on my notebook. I am logging my meals, my works outs, and my cardio. I am trying to stick to clean eating with the exception of a cheat not clean meal once a week, if I desire. I am looking to get a minimum of 5 (FAST) miles of running in each week, as well as hitting the weights 4-5 nights a week. My prayer is that I have enough strength to not give up, but give it my all for these 14 weeks! I think by making this an official blog post it gives me some accountability! We all need a little accountability in our lives! I would like to finish this feeling healthier, stronger, faster (improve my mile time in the cardio department), and appear to look leaner-dropping body fat. If you would like to journey along side of me, follow Leigh Leigh Speaks on Facebook. Click HERE! We can encourage each other! These are the “before” pics?! You look great…keep it up!